Home » Blog » How Do Order Fulfillment Companies Work? At its core, an order fulfillment company is a business that receives, processes, and delivers orders to customers. How it goes about doing this is a lot harder to summarize because each of those three steps actually encompasses multiple activities and interactions that are all integral to an effective order fulfillment service. Understanding how an order fulfillment company works isn’t necessarily hard, just that it takes more than a sentence. Let’s explore, shall we? Every part of an order fulfillment service intersects in some way with inventory management. How new products are received from suppliers, how they are inspected (and possibly tested), generating SKUs, adding bar code labels, etc., are just some of the ways inventory management play into fulfillment—and this is even before the customers enter the picture. Product storage also falls under this category. Order fulfillment companies regularly store large volumes of inventory in anticipation of future purchases. How inventory items are arranged in the warehouse and their manner of storage can directly impact the efficiency of future fulfillment steps in a positive or negative way. Generally speaking, the most popular items will ideally be placed closer to the fulfillment area. Once a customer makes a purchase, their order is relayed to the warehouse. How this happens can vary by order fulfillment service but takes the form of the web site automatically passing the information along, saving it for a batch upload, or someone manually inputting the information into the warehouse management system. Some methods are more suited for different businesses than others. Online integration is more common with direct-to-consumer e-commerce, while a warehouse management system may work for stores aiming to be restocked. Once an order is received, the process moves on to pick-and-pack. The ordered products are picked from the shelves and brought to the packing station to be assembled into a package for delivery. Other tasks carried out at this point include extra quality control checks, scanning barcodes or RFIDs, adding packing slips or inserts, and sealing the package. Additional steps may be required depending on the nature of the product involved and whether it is bundled together with other items. The shipping stage is when the package is weighed and the best shipping method is decided. In most cases, the order fulfillment company is able to use the combined volume of its clients to negotiate better rates with shipping carriers. Again, depending on the type of product involved, this stage can be more or less complex. Shipping a temperature-sensitive pharmaceutical has different requirements than a pair of pants, and a pair of pants has far fewer shipping concerns than a motorcycle, etc. Once the order has been shipped, it is increasingly common for an update to be provided to the customer along with a means by which they can track the progress of the item’s arrival. For customers, the ability to return a product—and to do so easily—is a key factor in many purchasing decisions. Any order fulfillment company worth its salt will therefore offer a returns management service. 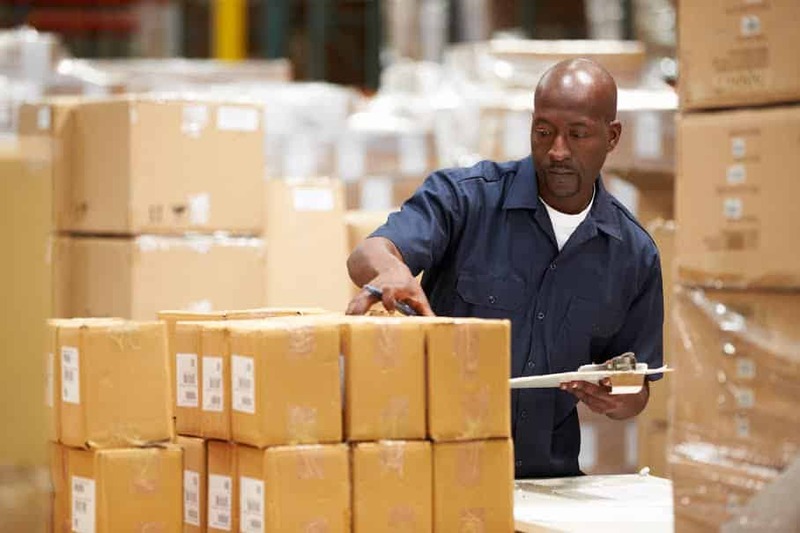 In addition to clear and consistent policies about how product are returned and under what conditions, returns processing also involves what happens to the product upon return to the warehouse. Depending on the reason for the return and the nature or condition of the product, it may be returned to the stock, repaired/refurbished and then returned, or recycled with its usable parts put towards making or repairing other units. Cannon Hill Logistics is a specialist in outsourced wholesale and retail product distribution, fulfillment, and logistic services that based out of Frederick, MD. Our 30 years of experience has been dedicated towards giving the tools and personalized services that any new or existing company needs to streamline distribution and boost market share. Our fulfillment center is 45 miles from the Port of Baltimore and 40 miles from Baltimore-Washington International Airport, so inbound freight moves to us quickly and inexpensively. We can ship to half of the U.S. population within two business days using ground transportation. Feel free to contact us at 1-800-822-4747 for further information.